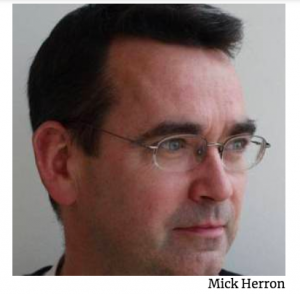 Mick Herron is the author of the Jackson Lamb series of spy novels. The first, Slow Horses, was hailed by the Daily Telegraph as one of the 20 greatest spy novels of all time. The most recent in the series is Spook Street, winner of the Ian Fleming Steel Dagger 2017. Mick and I will be talking about the secrets and spies at the heart of our novels, and about writing flawed and unlikeable characters. Interviewed by Hannah Beckerman. I’ll b e interviewing the great & wise Ruby Wax about her new book How to be Human, the Manual at the Sheldonian Theatre, Oxford. Wax has had a successful 25-year career as a comedian, television performer and writer. She also has a master’s degree in mindfulness-based cognitive therapy from the University of Oxford and was awarded an OBE for services to mental health.